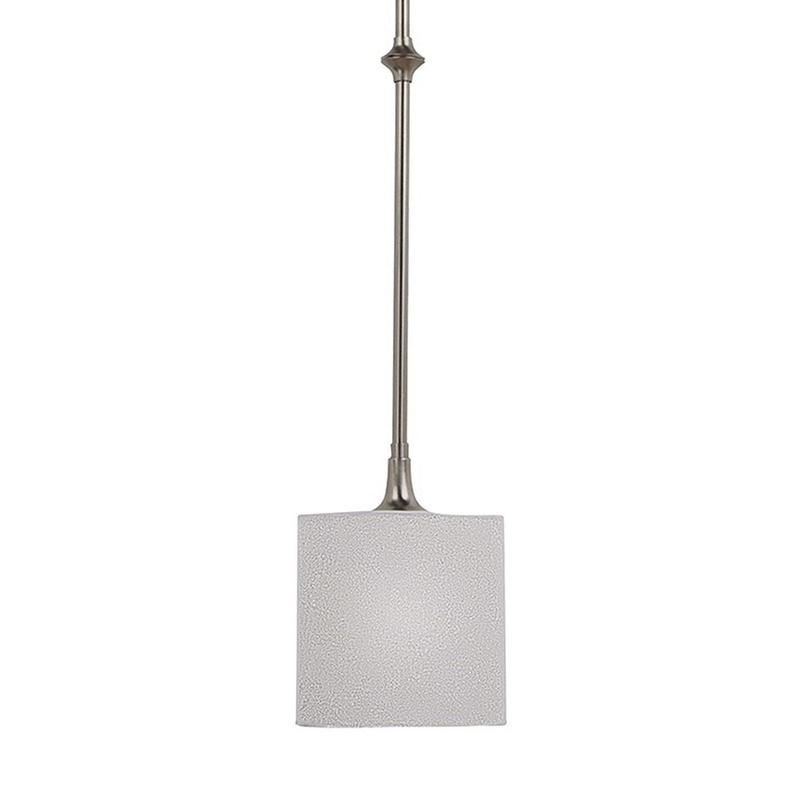 Sea Gull Lighting Stirling Collection 1-Lamp mini pendant fixture in brushed nickel finish, features steel construction. The white linen fabric shade of size 6-1/2-Inch Dia x 6-3/8-Inch x 1-5/8-Inch Dia fitter, brings elegance to the home. It has satin etched glass diffuser that dims the light level to create soft light. This transitional style fixture uses one 60-Watt A19 medium incandescent lamp. It has voltage rating of 120-Volts. This fixture has a dimension of 6-1/2-Inch Dia x 8-1/2-Inch. It is mounted on to the ceiling using 5-1/2-Inch Dia x 1-3/8 canopy and one 6-Inch/two 12-Inch screw collar stem. This fixture comes with 120-Inch lead wire to ensure easy installation. Fixture is ETL listed and Title 24 Energy Efficiency compliant.